Interviewing the MC that murdered the "ENTER10MENT XTRA SHOW" Prince Jay is something i have been looking forward to. I didn't know what to expect from my interview with him. It was my first interview with a comedian and naturally, I was excited. Would he just be straight faced, or would he infuse jokes into his replies? He ended up being a mix of the two. Like when he needed to be serious and funny when he wanted to be. I definitely had a good laugh with him. Seepmuzik: Can we meet you sir? Seepmuzik: (laughter) So how did you venture into comedy? Prince Jay: comedy for me started way back in my early life,and i actually started from the church so stage fright was never my problem but i never took it serious until i got into secondary school,were i joined the literary club,and i started mounting the stage regularly,but professionally i started comedy business in 2008 and am still in it till date..
Seepmuzik: Amazing,Aside comedy want do you do? Seepmuzik: like how do you handle your audience especially at dope events? Seepmuzik: Hmmmmm About your female fans how do you handle them? Prince Jay: (laughter) Some of dem dey craze sometimes,how person go call you say make you come kiss her? You just have to keep that distance you know cause ah respect my woman a lot. 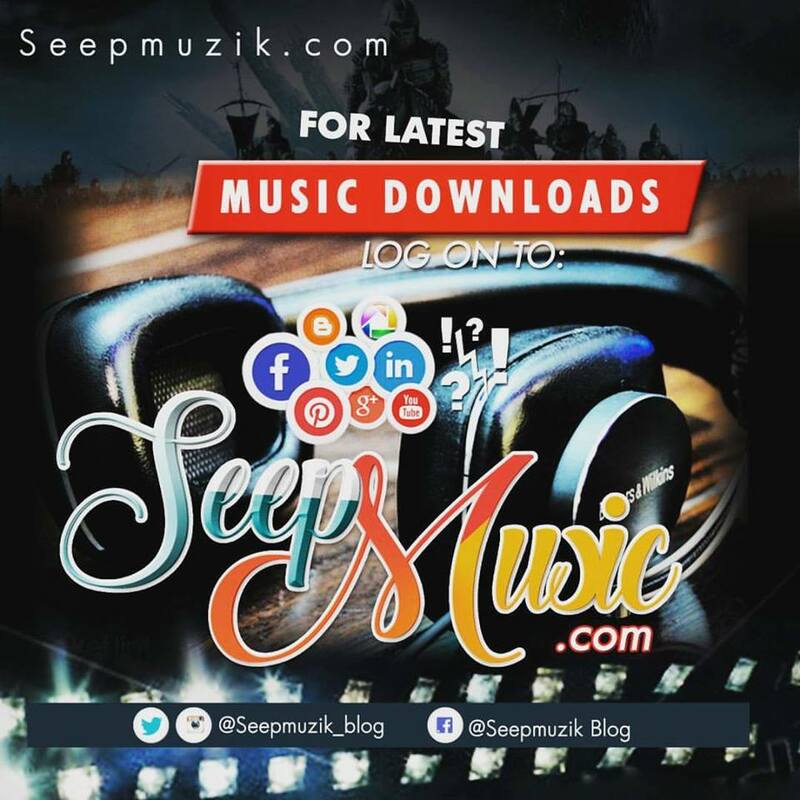 Seepmuzik: Tell us about your relationship? What's your own take on relationships? Seepmuzik: Cool,You do crack a lot of jokes about your growing up years. What kind of childhood did you have? Was it rosy or was it that hard? Seepmuzik: Who are your influences ? Seepmuzik: Recently you were endorsed as the youth ambassador by Light House Ministry,how has it been since then? Prince Jay: God has really been so faithfull,because you know is the pride of every artiste to be recognised not only that but to also enjoy some priviledges and also sitting on top,this has opened door's for me and life has never been the same,and we are still working hard for more blessing's. Seepmuzik: In those early years, what was the first big break you had and how much did you make from that job? Seepmuzik: Some comedians have been criticized for repeating their jokes too often. Do you repeat jokes? Prince Jay: sure most of our Nigerian comedian's repeat their jokes and am not an exception because some times i also do that,because i read my crowd before performing,getting new material's is never easy so we feel that when we repeat our joke's it save's us the stress of getting to seat down and create new joke's,so basically that is why some comedian's repeat their jokes. Seepmuzik: Looking back at the period you started off as a comedian when the comedy industry wasn't this big, what kept you going in the midst of many challenges? Prince Jay: well for most of the comedian's will tell you determination kept them going,but for me it was God that kept me strong because there were times when i felt like quiting but he was all there for me,and also focus because most of the young comedian's we started with have all gone cold and am still standing so you see,it was not me all the way but it was God. Seepmuzik: If you are been given an opportunity to hangout with a comedy guru who will it be and why? Seepmuzik: Your last comedy concert was attended by over 700people what do you have to say about that? Prince Jay: Earlier I said something about a cordiall relationship with my fan's and I had that population because they loved the brand #prince jay,so they came out in mass to support me,and that is also a sign that we have a growing fan base.It was the happiest day in my life because is never easy for you to organise that sort of a show and people will turn out in that number,but I really want to say a big thank you to all my fan's who made out time to come out and support me I love you all. Seepmuzik: Some of your jokes are always to the ladies,why? Seepmuzik: Seems you love fashion,tell us what's your take on it and your favorite brand ? Seepmuzik: What should your fans expect from you? Prince Jay: 2015 is just a year of #BillionaireAmbitions and also unique project's,well my fan's should expect more comedy skits,more show's,more entertainment,and more gift's from jay to them because my fan's have been my backbone ever since I started off my comedy carrier,because this year I really want to start giving them some token out of my heart well i want to start with a Valentine treat for a lucky fan,so all of you should be on your guard. Seepmuzik: With all that you've passed through, would you say you have achieved success? Seepmuzik: We know you have a foundation,please tell us more about it? Prince Jay: Sure i have a foundation,saso foundation by name which stand's for Save A Soul Outreach what we do basically is reaching out to the less priviledge kid's in the orphanages,schools,prison's,hospitals,streets,and all sort,our main focus are the kid's because most of them don't even have a mean's of survival and this burden has been on my heart and now I have an opportunity of doing it,so I feel is my responsibility. Seepmuzik: what do you have to say about the scarcity of female comedians in the industry? Seepmuzik: A word of advice for your fans?